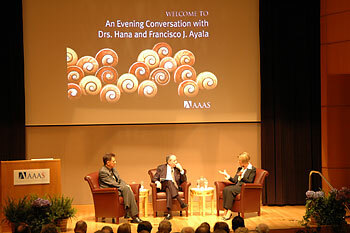 A salon-style event held at the Headquarters of the American Association for the Advancement of Science in Washington, DC in March 2006 and moderated by Dr. Alan Leshner, CEO of AAAS and Executive Publisher of the journal Science, framed the initial announcement by Dr. Ayala of IQ RESORTS®. 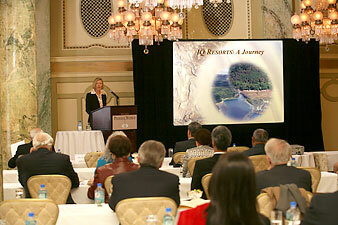 Formally launched at the Willard InterContinental Hotel in Washington, DC in March 2007, the IQ RESORTS® endeavor is crafted by Ayala and her team to yield a breed of destination resorts and private estates that can uniquely secure and validate prime reservoirs of the world’s natural capital and cultural legacies of major scientific and conservation importance. 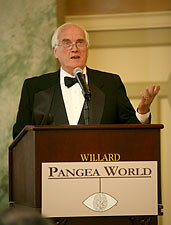 Each IQ RESORTS® project will be an original and each will be international, nurtured by PANTHALASSA® and showcasing the economic, environmental, and social benefits of partnering world-class hospitality with cutting-edge science.